Finnish phones giant Nokia has lost their appeal of a 2011 court decision finding them in violation of a patent held by Germany's IPCom. 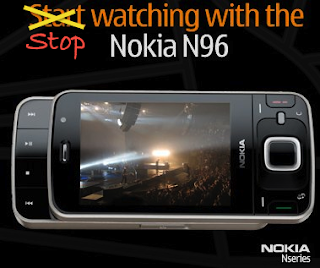 As a result, IPCom has been granted relief in the form of a United Kingdom sales-ban on the infringing Nokia phones. Fortunately for Nokia, the UK ban applies only to their N96 ...a phone they stopped making @ 2010. Unfortunately for IPCom, this brilliant victory caused the European Patent Office to re-examine others of their prized patents, one of which was ruled invalid. This latter decision came as stunning news. For several years, IPCom has made a good profit hounding various tech firms for extortion licensing payments, due to supposed infringement of IPCom's now-infamous telecommunications patent EP 1 841 268 (#100a). MobilePhonesFan notes the EPO's revocation of #100a comes at an auspicious time for the Eurozone, which now finds itself wanting for economic innovation. Obstacles to productivity -- especially new, aggressive patent trolls -- are the last thing they need.